You can plot the residuals against the regressors by using the PROC SGPLOT. For example, the following statements plot the 2SLS residuals for the demand model against price, income, and price of substitutes. 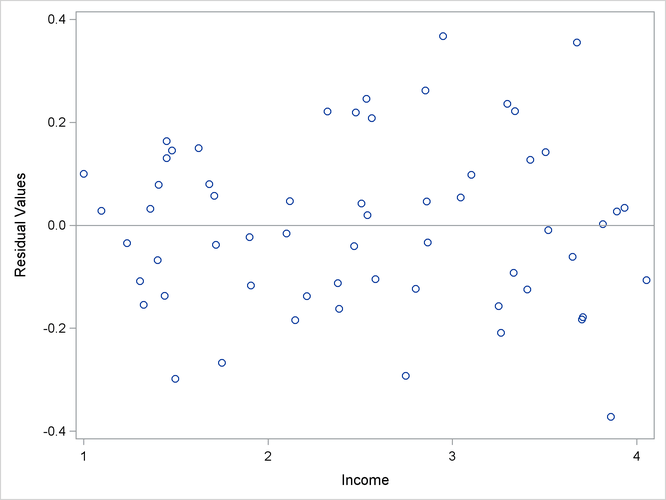 The plot for income is shown in Figure 29.12. The other plots are not shown.